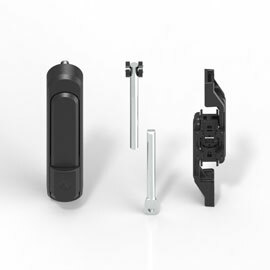 With the eCam, EMKA responded last year to the growing demand for electromechanical locking systems and expanded its range with a trend-setting solution. Just in time for the HANNOVER MESSE, the fourth variant will be launched. The eCam Safety is a TÜV-certified further development which, due to its redundant technology and the approval as a position switch according to EN ISO 14119, opens new applications. Trade fair visitors can get an idea of the new solution in Hall 12, Stand D30. The eCam Safety consists of a point lock which can be actuated by a special electronic controller (e.g. via the machine control or also by means of an external card reader and ID card). Unauthorised persons will not be able to open the door or flap. 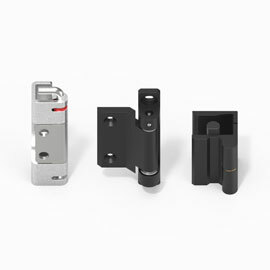 EMKA has developed its proven locking system for eCam Safety especially for the mechanical engineering sector. Here, various safety-relevant components were added to the system. 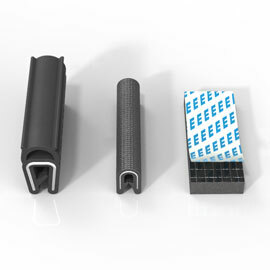 EMKA designed the product mainly for machine guards. This means that eCam Safety prevents access to a danger area but allows safe entry as soon as a hazard is removed. This was preceded by a type test procedure conducted by TÜV Rhineland and based on EN ISO 14119:2013. The eCam Safety is now a variant where, among other things, the sensor elements are redundant. The design achieves the Performance Level “d” according to EN 13849 prescribed in the Machinery Directive. The Performance Level is a measure of the reliability of a safety function. The eCam Safety can be used as a locking device type 1 (position switch) in mechanical and plant engineering and offers customers a flexible, cost-effective and easy-to-integrate solution. 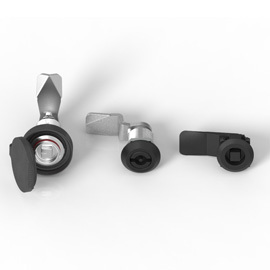 eCam Safety is simple to be retrofitted and can also be integrated in Electronic Locking and Monitoring (ELM) systems in order to precisely register and verify all accesses to the second.